Hyundai Solar Panels Review: What's The Hyundai Name Worth? Home > Solar Panels > Hyundai Solar Panels: What’s The Hyundai Name Worth? Hyundai Solar Panels: What’s The Hyundai Name Worth? Hyundai Panels: Driving A Good Bargain? 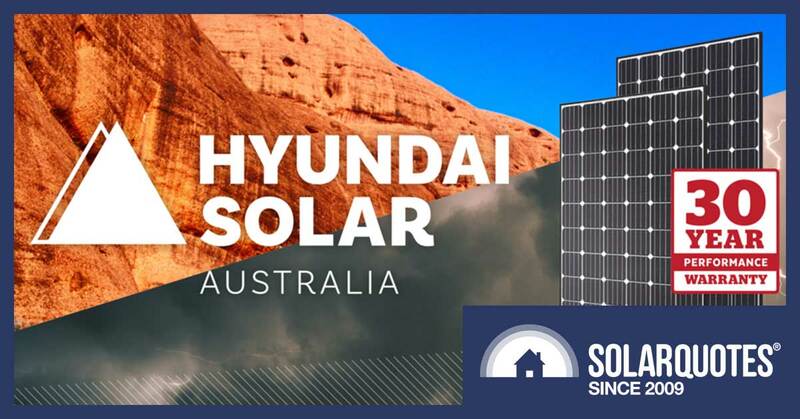 After a 7 year absence Hyundai solar panels became available again in Australia around 10 months ago. Michael wrote about their return last year and in this article I’ll let you know what I’ve found out about them. I thought I would have to start by telling you I’m biased because I’ve owned a Hyundai Getz for 14 years and it hasn’t had a single mechanical problem.1 But it turns out that Hyundai solar panels are produced by Hyundai Green Energy, which is a separate company from Hyundai Motors; so if you have a problem with your solar panels don’t turn up at your local Hyundai car dealer expecting to get help. There isn’t a huge amount of information on Hyundai solar panels out there. The Hyundai Solar Australian site is a little sparse. (Although they do have excellent taste in links.) Old Hyundai solar panels that were installed years ago appear to have performed well but the new ones haven’t available long enough to prove themselves. The good news is they are tier one, which means large financial organisations consider the risk from using these panels is low enough for them to lend money to large solar projects that use them. This is not a direct measure of solar panel quality but really crap panels are not going to get classed as tier one. Efficiency is up to 18.4% for the standard sized 60 cell panel and up to 18.6% for the larger 72 cell panel. Salt mist corrosion resistant and suitable for installation anywhere in Australia. 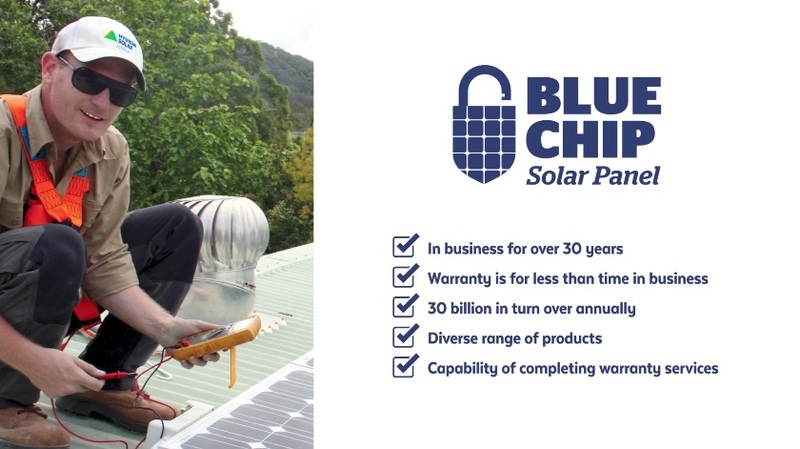 12 year product warranty — better than the 10 years of some tier one solar panels. 30 year performance warranty — better than the usual 25 years. Hyundai Green Energy has an Australian office in Sydney. Hyundai solar panels are made by the South Korean company Hyundai Green Energy, a subsidiary of Hyundai Heavy Industry, which split from the Hyundai Group in 2002. Looking at how many solar manufacturers have gone bust over the past 10 years and the precarious financial position of many solar companies, buying panels from Hyundai may look like a good idea as they have been around in some form for over 70 years and may be around for many more decades. Unfortunately, subsidiaries are considered separate entities when it comes to liability. So if Hyundai Green Energy goes bust its parent company, Hyundai Heavy Industries, or any other companies that share the Hyundai name, don’t have to support its warranties. While Hyundai Heavy Industries wouldn’t want its subsidiary to go under, the only reason Hyundai Green Energy exists as a subsidiary is because Hyundai Heavy Industries was split into 6 separate companies in 2017 as a result of financial hardship in the shipbuilding industry. So if Hyundai Green Energy ran into financial trouble it is quite possible it wouldn’t receive any Hyundai help. Your Hyundai solar panels could be made in South Korea, Vietnam, or China. Compared to similar tier one panels they seem reasonably priced (you can compare their price and specifications with other manufacturers’ solar panels on our not-very-well publicised Solar Panel Comparison Chart). Of course, what matters to a home owner is the total cost of a solar power system, not whether its panels are a little higher or lower in price than similar ones. There are two Hyundai Green Energy panels available in Australia. Their standard sized 60 cell panel is the one most likely to be used for residential installations and their larger 72 cell panel, which is usually used for commercial and large scale solar farms. On their site they state the two solar panels range from 275-300 watts and from 300-360 watts. LID is Light Induced Degradation that causes most panels’ output to decrease by around 1.5% to 2% in their first few hours in the sun. Hyundai Green Energy panels don’t suffer from this problem because their solar cells are N-type rather than P-type. The fact that they have used more expensive N-type cells hopefully indicates they haven’t skimped on the other components of the panel. PID is Potential Induced Degradation and is most common in hot, humid environments. The lack of PID should make them suitable for use in tropical areas. I’m pretty sure they meant to write 30 years there, in reference to their performance warranty. This looks like a deliberate attempt to mislead people to me. 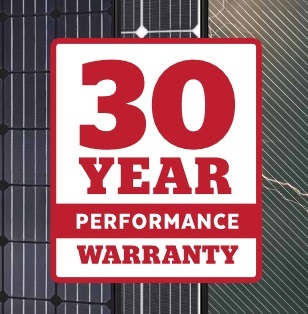 If consumers looking for a solar power system see the 30 year performance warranty but don’t see the product warranty, they are likely to think it is 30 years and not the 12 years it actually is. The problem with this is, even though the performance warranty is longer than the 25 years most panels have, like most of them, the details of Hyundai’s performance warranty make me sadder than a Pony Ute. 10 new replacement solar panels. One new panel to make up for the loss in the output of the others. 71.2% of their original purchase price due to applying an annual depreciation rate of 3.33%. The good news is, by stating in big bold type that the solar panels have a 30 year performance warranty without clearly stating any qualifications, according to Australian consumer law — in my opinion — Hyundai have given their panels a 30 year product warranty. I am not a lawyer, but I am confident that if you showed a magistrate in small claims court or a consumer tribunal their datasheet they would agree that Hyundai had guaranteed the solar panels for 30 years and they would be required to repair, replace, or provide a refund for each and every panel that failed to meet the minimum output promised by its performance warranty. In addition, you can claim for consequential losses; which includes the cost of having them replaced. The warranty, which I downloaded from Hyundai’s Australian website, does not mention Australian consumer law — as it must — and needs to be updated. Hopefully, rather than just add boilerplate text about consumer law, they’ll actually improve it. I admit that’s unlikely, but sometimes pigs do fly. It is a regrettable fact solar panels lose efficiency as their temperature increases. Fortunately, it’s less than the efficiency loss that air cooled fossil fuel plants suffer in the heat. Typical panels have their output reduced by around 0.4% for each increase in temperature over 25 degrees. As Hyundai panels’ efficiency will decline by 0.41%, I would call this typical. I got the impression no one had asked them this before, which I suppose is a good thing. As they have an office in Australia they are legally required to support their warranties. As a tier one manufacturer, Hyundai Green Energy panels are sold to large scale solar farms. While I don’t know what kind of contracts Hyundai Green Energy signed with large solar projects, I’m pretty sure they didn’t decide to give their panels a 30 year performance warranty on a whim and they are confident the large majority of their solar panels will still have good output after 30 years of exposure to the elements. So while their latest panels have not been sold for long in Australia, I expect them to be reliable. I don’t know what financial condition Hyundai Green Energy is in, but the fact that it only exists as an independent company because its parent company ran into financial difficulties probably isn’t a good sign. On the other hand, they are tier one which does take into account financial stability. Personally, I doubt having the word “Hyundai” in its name will provide any real protection from going under if the company suffers from major financial problems in the future. But hopefully the solar panels can go the distance and you will never need to make a warranty claim. That damned performance warranty has a typo curse upon it, your headline specs show 12 and 30 years PRODUCT warranties. Thank you for point that out, Richard. It was a stupid mistake. I mean, curse! Is it 30 year performance warranty? looks like a small mistake there. Sorry, yes, I made a mistake there. It’s fixed now. Hmmm if it smells fishy it probably is. Too much flathead in that report for me to have confidence in them as yet. Well done Ron – did you ever consider moonlighting as a private detective ? Your articles have all the hallmarks of “I can confirm your husband has been sleeping with another woman” ! Sounds dangerous, Reg. According to all the gumshoe novels I’ve read these wives who hire me will end up sleeping with me. I’d say it’s inevitable given how handsome and charming I am. Ronald – I have learnt so much from this that I never knew I needed to know, but I surely did. So thanks. 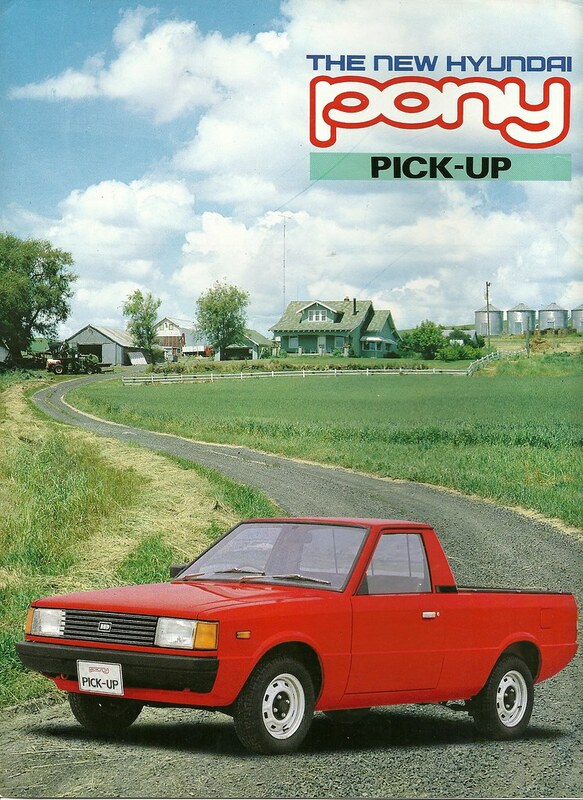 And I was reminded of the Hyundai Pony, another big bonus. Mind you, I have already installed my quality system using other information from this site, so Hyundai’s new offering isn’t of great use to me, but boy am I more knowledgeable now! I probably won’t outlive my new system, but along the way I can bore my friends even more, and perhaps some of them buy a new system, with all I have learnt! Haven’t they popped up with these kind of panels before and then disappeared leaving people with pointless worthless warranties? Hyundai Green Energy says they have PERL cells and don’t suffer from LID so I assumed they were N type. If they’re not I’d certainly be interested in that. Ron this week we conducted an array output current performance test on a 23 x 218W Hyundai Mono (5014 W) + Aurora Inverter system on the Gold Coast, installed 8 years ago this week. Although diurnal irradiation conditions at time of installation array testing, and on retesting can never be the same even for the same date and time on different years, with good installation notes you can get close. Our re-testing did not measure any array output current performance degradation at all after 8 years service. A good result for these 2010 genre Hyundai Mono Panels, and we will have another look at them in April 2027. PS: The Aurora Inverter does need servicing though. An excellent result. Thank you for sharing. Interesting read. I installed a heat pump some 8 years ago. Company disappeared into no where recently. My point is stay with someone who you don’t need for the period of lifetime of installation and with bug enough market share, if you go solar.